The Secret Kitchen promises to fill your stomach and curb those hunger pangs. 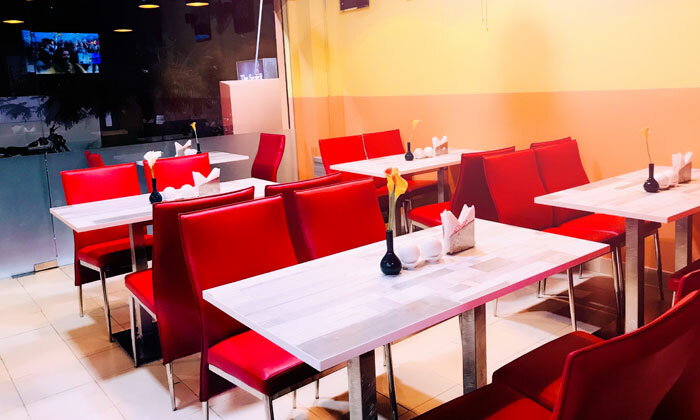 If you love chit-chatting along with scrumptious food, then The Secret Kitchen located in Kavuri Hills Phase III, Madhapur, Hyderabad is the place to be at. Serving a range of North Indian and Chinese delicacies, it is an ideal place to hangout with near and dear ones. With comfortable indoor seating, ample space and good food, The Secret Kitchen is sure to leave you wanting for more. They also have a dedicated staff, giving you an overall satisfying experience.